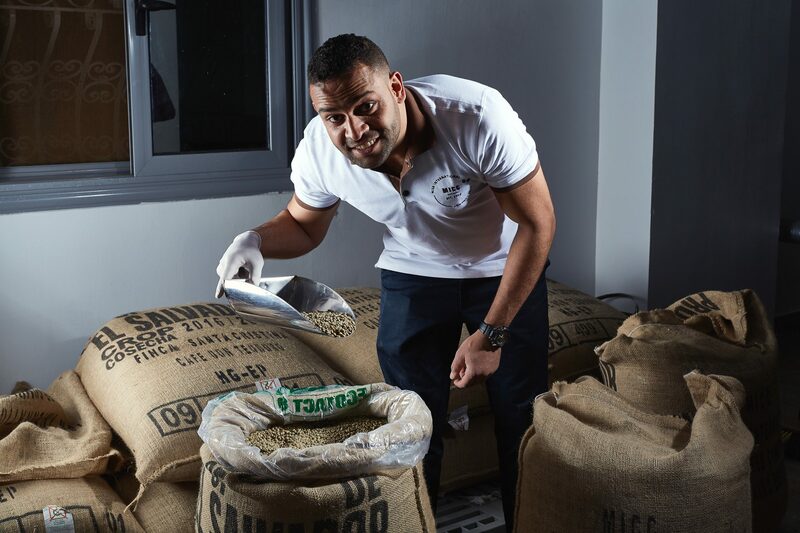 Occupying a unique space in the Egyptian coffee industry, we proudly are the first to import and roast coffee from El Salvador in the history of Egyptian trade. We have a great passion for the quality of coffee that we buy, roast, and sell but equally for the customer service we provide. We work with passion, pride, and integrity and believe that what we do is a craft – a blend of art, skill, science and technology. Our coffee is hand roasted in the industrial area of New Cairo located in the Third Settlement on a customized coffee roaster from Europe, which gives the best of both worlds – the manufactured in Egypt with pride under the supervision of our Greek head of Operations from Central America that has 20 years of roasting experience. Each roast is crafted to bring out the inherent flavours of that particular coffee and region. MICC is launching in the second quarter of 2018 the first Egyptian manufactured (Nespresso compatible) capsules, offering its customers affordable capsules, with the best quality beans on the Egyptian market. Also, developing vacuum sealed coffee packs for the HORECA and retail businesses. Our coffee is mostly imported by Direct Trade, where we work closely with our partners in regions including Central and South America. We work under a licensed brand from Central America “Katzala Coffee” that has been established in 1992 and has had tremendous success in Guatemala and El Salvador. The brand was founded by one of the partner’s, whom heads our operation in Egypt and is trademarked in Egypt by our company MICC. Katzala is a Mayan expression for the Quetzal, a magnificent bird that lives throughout the Central American volcanic mountain ranges, forests, and reserves. This beautiful specimen is also the national bird of Guatemala, rich in history and cultural heritage. All coffees we harvest and process is Strictly Hard Bean (SHB), harvested from plantations that are at, or above 1300 meters above sea level. We work with varieties that are of 100 % Arabica.